I say a fair enough question and here is my answer. First I am not writing a book to compete with anybody. Secondly if all the weight problems were solved and covered by all these books and diets then why is obesity reaching epidemic levels? From my experience so far I can say that there is a considerable amount of people visiting weight loss websites every day and they all are looking for the same thing; a weight loss solution. Will the combination diet be the answer to all weight problems? To put it quite simply, No it will not. Each and every one of us is a unique oddity and we can’t believe that one simple thing will suit each and every one of the few trillion of us around the world. Yes there is such a thing as optimum nutrition or the best recommended diet pattern but let’s be totally honest it is not for everybody. There will always be an ‘X’ diet which works for ‘Z’ amount people and an ‘A’ diet which will suit ‘B’ amount of people. Dieting is a personal thing; we all have different tastes, different lifestyles, different metabolism, different habits and preferences. To try and fit everybody in one box will be like setting up our self to fail. What does the Combination Diet has to offer then? 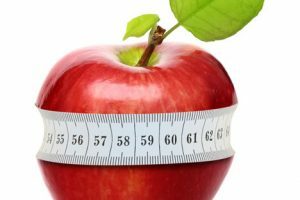 Through our experience in the weight loss field, (the team who some of you may already know through the weight loss articles) we have seen that people are looking for answers. We gathered this experience and all the information you all have passed to us through the time with your contact, comments and questions and we decided to put the ‘Combination Diet’ together. So basically the project was inspired by what people have showed us they want and need. Why that diet regime? 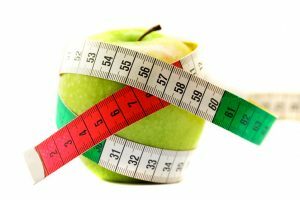 We looked at our scientific knowledge and we looked at what science says and we put together a healthy, balanced diet which aims to return weight loss results. Our no 1 goal was weight loss and our no 2 goal was health. Our philosophy was try to provide people with a solution which will be easy, practical and above all healthy. As you may know there are numerous ways and diets you can go about losing weight but there are not always healthy. From the above, and to quote my own self, we thought that not everybody is the same and so the ‘Combination Diet’ had to offer flexibility. Indeed flexibility in terms of food choices and calories to be consumed is the no1 philosophy of the diet. Weight loss is not always an easy job, as some of you may know. We did not want to just sell a diet to people but put together a lifelong solution. Therefore, we have created the ‘combination diet’ package. The book itself is packed with tips and guidance for every step of dieting whether being with following the ‘combination’ regime or whether being making a lifestyle change, or following any weight loss regime. In addition, we have added an exercise section to further help you tackle and improve abdominal condition. But it doesn’t stop there…there is actually more added on to it. With buying the combination diet you are actually buying to a membership which entitles you to online services such as calorie counter, food and activities diaries and support from our experts. In other words you are not alone. We are there to guide you and help you in your weight loss steps. Our aim is to continuously update the members’ site with tips, menus, recipes and with whatever else you tell us you need. I was looking at the diet 2 days ago with one of my colleagues and I simply said tell me any comments. After going through the diet she said to me I could never eat tuna for breakfast, I would be sick, I don’t like salmon and I think I could only eat eggs for a couple of days. My response to her was ‘What do you like to eat?’ It turns out that she can only eat porridge and although she wants to lose her belly ready for the Christmas period she couldn’t give up her porridge. I bring this example as I am sure a lot of people may think along similar ways. I would never in a million years want to create a diet which would be a torture for people. This is one main reason why the diet had to be flexible. The diet offers lists of menus for main meals and additional choices which you can combine with your main meals. In that respect you can chose what you want to eat, when you want to eat it and how much you want to eat. There will be choices which you don’t like at all, well then you don’t have to eat them. The nutritional and calorie information which come with all the choices will further help you to set your own calorie range to follow every day. There is a step by step guide to help you determine how to set your own calorie range depending on how much weight you want to lose. Are you having difficulty to decide how or what to do, then ask us and we will help you. To go back to my colleagues comments I have added a few weight loss tips to further take with you with the ‘Combination Diet’. Tip1. You do not have to be rigid in following the combination diet. The menus provided are a guide. For some people the choices may suit them just fine for others it may not be all to their taste and preference. Tip2. If the above is the case then make a list of the foods which is no absolute way that you can give up. For Stella it was porridge for breakfast, for you it may be something else. Once you done the list go through it and try to think if you can give it up for a few days, not at all, or if they could comfortably go to a ‘once a week’ category. Tip3. Be realistic with your list. Well if your list includes I can’t give up on chips and pizza, be realistic that this kind of food will not lead to weight loss if eaten every day unless you starve all day just to have chips and pizza for dinner. Well that is unrealistic and unhealthy. If you are willing to eat chips and pizza once a week then this is more realistic and possible. Tip4. Put foods which you can’t stop eating in small portions (bag or container etc). For example: Is it chocolate your biggest weakness? Cut the chocolate in small portions and store it in separate bags. Make an agreement with yourself as to when you will eat a portion of chocolate and stick to it. The agreement could be I will eat one portion a day, or I will eat it only when my friend come around for coffee, it can be as specific or as general as it suits you. Make sure you calculate the calories of a portion of the food of your choice and add it to your daily calorie intake. Tip5. If you are like Stella and you can only have one thing for breakfast then don’t torture yourself trying to give it up. Try to make it as healthy as possible. In the case of Stella I would say that porridge can be high in sugars especially when adding syrup, sugar, jam etc for taste. Avoid the syrup and add a handful of nuts. Nuts can keep you feeling full for longer so you will not be getting the sugar cravings mid day. Or make sure you have a nice protein based snack or nuts if you do feel the mid day cravings. Use our food finder to calculate how many calories are in porridge and add it up. Adapt the diet to your needs and not your needs to the diet. Tip6. Follow the principles of the diet for any other food changes. For example if you don’t like chicken and you prefer turkey then make sure you grill it and not fry it and again use the food finder in the site to find how many calories that food has. Tip7. 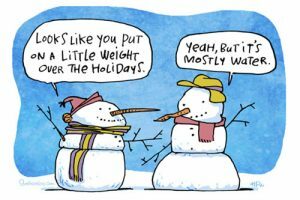 Be realistic with your weight loss goals and the diet results. Well is needless to say that if you do chose to have a small portion of chips with your dinner every day, because you cannot live without chips then you will also need to be more linear with your expectation. It could mean that losing that extra pound it may take a little bit longer. At the end of the day you will not be losing loads of weight by eating chips. The idea is that if keeping the chips will mean sticking to a diet then that is better than not losing weight at all or resulting to extreme and possibly unhealthy option (i.e. tape warms).